Ready to ride in style? Join us next week as we partner up with Buick and take the 2019 Enclave Avenir out for a road trip. Today, we have some super cool news to share! 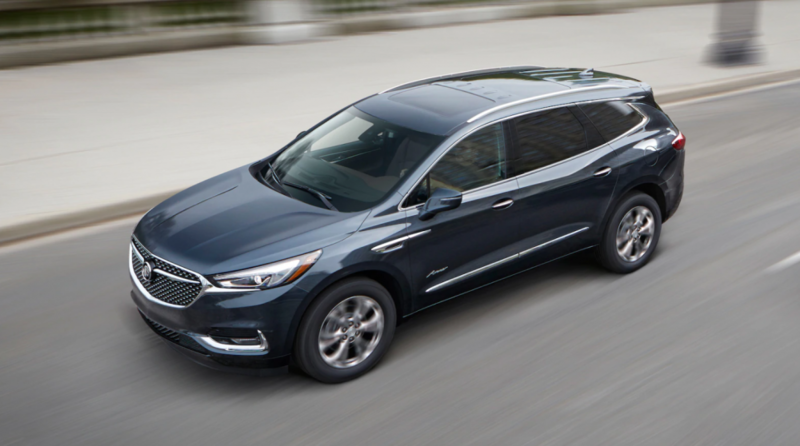 As we are getting into full preparation for our FIRST EVER TCFStyle Cruise, we are also partnering up with the fabulous folks at Buick and taking the new 2019 BUICK ENCLAVE AVENIR out for test drive, well…. road tip to be exact. I’m so geeked to be on the road with two of my favorite blogger boos, The Curvy Fashionista, Marie Denee, and The Jenesaisquoi, Jeniese Hosey for the best Girl’s Trip Road Trip with Buick! I can’t wait! First, let’s get into this chariot of steel provided by Buick. Okay! The Avenir also has tons of blogger-friendly extras like QuietTuning, an active noise cancellation system to help reduce, block and absorb noise. A built-in Wireless charging station, which is standard. And… Buick 4G LTE Wi-Fi hotspot, offering Internet connection for up to seven devices! An eight-inch-diagonal Buick Dashboard Information system with navigation and six USB ports plus Apple CarPlay and Android Auto capability for compatible phones. Listen, we have six hours to get to Tampa, and this vehicle right here is going to make it so worthwhile. Now know she is just as safe, as she is pretty, the Avenir has so many features to ensure the safety of your journey. The Driver Confidence II Package, a standard feature includes Lane Change Alert with Side Blind Zone Alert, Rear Cross Traffic Alert, Lane Keep Assist with Lane Departure Warning, Safety Alert Seat, Front, and Rear Park Assist, Forward Collision Alert, Low-Speed Forward Automatic Braking, Following Distance Indicator and IntelliBeam headlamps. I feel safer just typing this up. Seriously, there are so many features I can’t wait to get behind the wheel. Are you in the market for a new ride? Awarded the 2018 Kelly Blue Book “Best Value Luxury Brand,” I think you need to look into the Buick family and see what catches your eye. Don’t take my word for it, head on over for test drive. Road trips are still one of my all-time favorite ways to spend time with my family or close friends. Can you imagine all the chatter we’re going to have on our adventure to Tampa for the 2018 TCFCruise? Should we do some Insta-stories along the way? Make some impromptu photo sessions and hit some local food joints? When was the last time you went on a road trip? Did you enjoy yourself? Let chat it up in the comments!! 8 Style Must Haves for the TCFCruise or Fall Vacay! Traveling In Style: You Gotta Get into This Buick Enclave Avenir!